I'am a great fan off Hayley for many years. I live in Holland, 63 years old. I'am also interested in computers and Irish music. Welcome to HWI. You are nearly as old as me! So don't worry that such a young girl is making music that you love. There are plenty more of us that know it when we hear the finest voice we have ever heard. We might have a lot in common. I have been working with computers, desiging and creating software, for over 45 years! I do that professionally, and still work part time. But this is the place for hayleyfans. How did you first hear about her? Have you ever seen her perform live? I'm sure you will get a welcome from Joyce soon. She is from Holland too, and often comes to the UK for Hayley concerts. But anyway, a warm welcome, and we hope to hear a lot more from you, and perhaps one day we will meet at a concert. I hear about Hayley years ago, I was searching for music on internet, I mist the song that I love to hear and the mouse-clic let me hear the voice off Hayley and she give me a warm feeling, and since that time I'am fan. I hope that I can see her preform, its not happen d yet. Welcome to the forum! Thank you for joining us! You will certainly enjoy your time with us! I'am for the first time on a forum like this.(international). and I like the first stapes I made and the reactions are warm. Hellow Sam, and welcome to the forum! We have quite a few members in the Netherlands, so I'm sure you'll feel at home here. I hope you will enjoy chatting with all of Hayley's fans from around the world too, and I'm looking forward to your future posts. Welcome here, where you can find so much you want to know about Hayley. It is also nice to see another member from the Netherlands. Best wishes, and greetings from sunny Zwolle,Netherlands. Thanks for this message, You live in Zwolle,I live in Uden. Hi Sam,welcome aboard as mentioned this is the place to find out all about our Hayley right from basically day one. There are thousands of pages some with photo's video's radio and TV interviews etc.I live in Hayley's home town Christchurch New Zealand (what's left of it) after yet another nasty quake that struck last sat evening around 5.49pm. 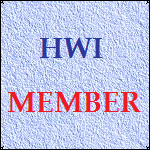 I hope you enjoy yourself here at HWI and if there is anything you would like to know about Hayley,all you have to do is simply ask.Somebody will no doubt be able to answer your query. Thanks for your message. I think I feel happy in this forum. You live in Christchuch, I hope that I see this town if I make a jouney to New Zealand it's not planned in a short time but I think it is wonderfull. The quake distroye a lot off buildings so I read in newspapers and media. I hope the NZ people can rebuild the buildings and also there live's . All the best to you and the people off your home town. Just wanted to pop in and say: Hi Sam!!! !